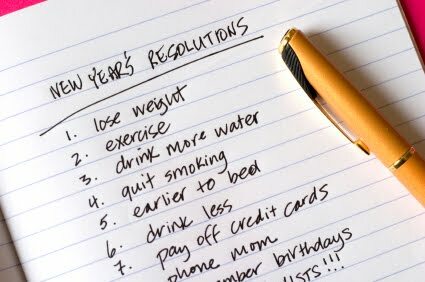 It is day two of the new year and I’m not sure if I’m failing at my resolutions. It’s hard to tell. Three days ago I told myself a story of another me that I’d approve of more, and likely ways I could become it. You can imagine the list – everyone is tempted by at least one of the following: plans of actions (e.g. exercise, eating vegetables, not yelling at one’s children), deleting unwanted life props (cigarettes, alcohol, debt, belly), and vague feel-good inclinations (trying new things, spending more time with family and friends, enjoying each moment). So, as I was writing this future story of myself and numbering the bullet points, I had a moment of aesthetic disgust. Why should we always be writing the stories of future self in this terrible, pseudo-scientific prose (the hypothesis being that if I exercise, don’t smoke, and enjoy each moment (whatever that means), then I’d be… what? Healthy? Better? Perfect?) Instead, I tried to summon up a feeling, that feeling of perfect that we all sometimes wade into, no matter our smoking, belly, or debt, and then wrote a line to remind me of it. (Do a couplet, if you’d like). Now, the line makes no sense to anyone but me. It is my secret paper-plane that delivers me to the door of that feeling. Sometimes the door is open and sometimes it’s closed. Sometimes I forget I have a line. I know for some of you this seems unwise. After all, how could you verify whether you are keeping your resolve? How would you know if you failed? You wouldn’t, I’m afraid. If all this makes you itchy for a list, please embrace the bullet points. As for me, I’ll keep my line handy, and do whatever takes me through that door. I’ll see how it goes this year. If it doesn’t work, there’s always next year to fail at being imaginary perfect me. I quite agree with the spirit of what you are saying. Perhaps the propaganda arm of the ten percent gives us the image of a yearly bout of self-denial aimed at making us all less happy and more likely to consume. Or, it is just another instance of how social problems are not recognized and get replaced by hopes of individual salvation. However, I wanted to make an autobiographical remark. When I was a young teenager I was obese. I went on a diet (with the aid and encouragement of my mother) and managed to reach a healthy weight. Prior to that I was often teased about my weight by my peers and by thoughtless adults. Since that time I have learned that the real problems in life do not get solved by an act of so-called "will power"; the real difficulties I have faced in my life have, for the most part, never been solved at all. (And what do I mean by "real" problems? For me there is only one problem: how to live well with other people--The question is what are the quality of my relationships?-- But between bosses and other supervisors, and those who blindly collaborate with them, there is little room for true autonomy or friendship or happiness.) There was a brief period in my late teens when I was probably anorexic. I was never diagnosed by a professional, but I'm pretty sure about this. So, perhaps, self-denial is a dangerous thing. And maybe we all have less control of our lives than we might, and less solidarity with others--not because we as individuals are lacking something but because the 90 percent 10 percent slogan captures a real feature of our societies. As regards the main idea of this post, which you have articulated so originally and efficiently, I know EXACTLY what you're talking about: that door you mention leads to what I call (in my own paper-plane language) "home." And yes, it's all about remembering that such a place exists, over and over again. These lines that we can use to remind ourselves are like Dorothy's ruby slippers in the Wizard of Oz. Also: I resonated with your aesthetic disgust at the (aptly-named) bullet list, even though--or especially because--I'm an inveterate list maker, and also with the whole idea of paying attention to how we write (or for that matter, how we think) about our future selves. The choice of tense in fiction writing has a definite and obvious effect on how we experience the story— present tense has immediacy but is also confining; past tense is less compelling, but offers the ultimately more powerful undertow of reflection and insight. I think it's possible to change our own real-life story's future by consciously choosing the tense in which we tell it (in addition to choosing an aesthetic that's in tune with the sensibility we wish to cultivate, e.g., the subconscious deep roots of metaphor as opposed to an analytical bulleted list). To which end, a few months ago, I started a whole blog written in past tense. It's been a very interesting experiment, and has in fact radically altered the way I think about and live my life in real time. If part of your resolution was to be more intuitive, more open, more creative, or more authentic, the answer to your title question is: most definitely NOT failing. Thank you for taking this risk. Dear formerly_a_wage_slave, thank you for this comment. I think you have highlighted precisely the danger of will power, not only how it can be applied in indiscriminate and dangerous ways, but can also mask the substance of what we desire. And all the while the real 'problems' of life, our relationships with ourselves, others, the world, need not a 'solution', but a loving, unflagging, attention. It's too bad that at the end of the day, we end up being too tired (from exercising and eating our vegetables) to love. Dear Barbara, I have read your lovely post on 'home', and yes, that is precisely it - whatever we choose to call it - beauty, truth, wholeness. Joseph Campbell once said something about how we think we're searching for meaning in life - when what we really want is experience of life. Funny how it sounds so easy, and yet it isn't. As for your blog on the past tense, I started to read just now, and I realized that I can't stop. So I'm going to wrap up this comment and get back to reading it. "I would love to share my line, but I feel its magical properties too closely to risk the utterance just yet"
Now that you put it that way, I withdraw my request--definitely don't want to get in the way of magical properties! And when I think about it, the topic of privacy in such an intimate endeavor deserves its own post--there are so many reasons why it should be protected, and why each of us must find our own way to that door. Maja, I hope you don't mind if I add a further thought. I guess what interests me these days (and it's not a thing about which I have clear thoughts) is the idea that our individual or personal striving is not the whole story. I don't know quite how to put it, or don't quite understand. I know that previously I resorted to a more or less hackneyed and trite sort of political language. However, I also know that George Eliot had the thought that an important part of happiness could be achieved despite social injustice (again resorting to rather stale language), or existing conditions of large-scale imperfection......And I wouldn't disagree with her, but I feel that there also is such a thing as having insufficient recognition of broader usually invisible social or cultural forces. I suppose the source of this conviction was the twelve or thirteen years I spent living outside of the USA (where I was born and educated.) What I actually think today is that living outside of one's birthplace---if one can manage it---is intellectually or morally superior to staying at home. Despite that fact I am living in the USA again today, but it is with great sadness and resignation that I do so....I fear losing insights which I once achieved, and I fear falling into habits of association, or ways of relating to other people which are blind to the complexities of human beings. But forgive me if I go on at too great a length. Dear MarkL, it's interesting what you say about living outside one's birthplace. I have had a very similar experience, of feeling I can see my newly adopted home from the 'outside'. It becomes much easier to see the usually unobserved and unchallenged assumptions (emotions, experiences) on which we have built our house-of-cards lifestyles. Perhaps this is one appeal of reading literature by foreign-born writers.